My Child Just Can’t Make the ‘R’ Sound! Many kids have a hard time producing the “R” sound, even after participating in years of traditional therapy. It’s not their fault — some kids just don’t respond well to traditional speech therapy. In these cases, recently developed technology called visual biofeedback could be the solution. Two effective visual biofeedback options are SmartPalate and OptiSpeech. Children who struggle to make certain speech sounds past early childhood may have a “persistent speech sound disorder.” While children are usually expected to develop the “R” sound by the time they are 6 years old, some children develop it by age 8 without need for therapy. From a speech-language pathologist’s perspective, making an “R” is tricky! This may be one of the reasons why children continue to struggle with this. To produce “R,” multiple areas of the tongue work together, along with the voice and the muscles of the throat. It is difficult for kids to visualize the tongue shape to produce “R.” Broadly, the tongue shapes for “R” are described as bunched or retroflexed. The bunched “R” is made by pulling the tongue up and back. The retroflexed “R” is made by both pulling the tongue back and curling the tongue tip back. Some children who have not mastered “R” between ages 6 and 8 can benefit from traditional speech therapy. Usually, traditional therapy includes diagrams, explanations, touch feedback (e.g. tongue depressors), mirrors, and trial-and-error. The child usually learns to make ”R” by himself/herself, then the child practices using the ”R” sound in different words, sentences, and phrases until making an “R” becomes habit. In these cases, there are some technological solutions that could supplement traditional therapy methods. Visual biofeedback is a type of technology that can show children their tongue position and/or tongue movement on a computer screen. This means that they don’t just have to rely on auditory (how the word sounds) and somatosensory (how the tongue feels) feedback — they also can use visual information to change their tongue position. 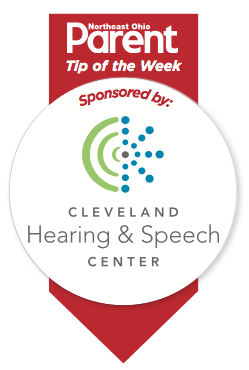 Cleveland Hearing & Speech Center offers two different visual biofeedback solutions — SmartPalate and Opti-Speech.